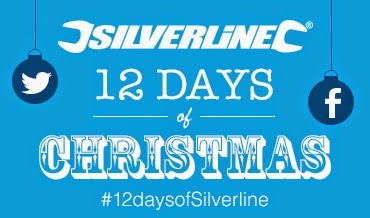 Our exciting #12DaysOfSilverline competition launches on Friday 12th December and runs right up until the 23rd! We'll be giving away daily prizes on Twitter, so make sure you're following us to see what exciting stuff we have up for grabs just in time for Christmas! 1. Powerbox Limited reserves the right to publish the names of the winners. All winners are required to give their full co-operation to all requests by Powerbox Limited or a promoter in connection with publicity for the competition, their entry, the prize or otherwise. 2. Employees and family and friends of Powerbox Limited or any third party involved are not permitted to enter the competition. 7. No cash alternative for the prizes will be offered and prizes are non-transferable. 9. The competition is open to all residents of the European Union. 12. If any winner of a competition is unable to take up a prize for any reason, or if Powerbox Limited has not been able, after making reasonable efforts, to make contact with the winner, Powerbox Limited reserve the right to award the prize (without notice to the first winner chose) to an alternative winner. In this case the original winner will not be eligible for any share of the prize. Powerbox Limited shall not have any liability in such eventuality. 13. Entries must be made in accordance with the competition instructions. They are invalid if they are received any later than the specified closing time (which shall be GMT date and time).